There are many causes of bad breath. Eating foods with strong odors like onions and garlic can cause bad breath; so can smoking or drinking certain beverages. However, most bad breath dissipates with brushing or mouthwash. Chronic bad breath, or halitosis, is more serious and cannot be removed with simple oral hygiene. If you have been suffering from halitosis and want to stop this embarrassing issue, Dr. Kurtzman can help diagnose the cause and find the right dental care services to end your bad breath. General bad breath is usually due to decaying food and the bacteria that accompany it in your mouth. Brushing and flossing remove bacteria and food from the teeth, preventing decay, infection and stopping bad odors. However, halitosis is more than just a temporary bout of bad breath. It can often be a sign of more serious oral or internal health issues. Decayed or infected teeth are often the cause of bad breath. Gum disease can also be a cause of halitosis. Fixing dental issues can be the treatment you need to restore fresh breath and your oral health. To stop halitosis, the source of the odor must be removed. The first step to fighting bad breath is to have a thorough dental exam and cleaning. Our hygienist can remove all the plaque and tartar that can cause bad odors. Plus, a periodontal exam will be performed to check for signs of gum disease. If you have a gum infection, we can provide treatment to restore oral health and often stop bad breath. Dr. Kurtzman will also examine your teeth to look for any dental problems that could be causing your halitosis. If you have any cavities or other dental issues, Dr. Kurtzman will recommend treatment which can repair your teeth and possibly stop your chronic bad breath. 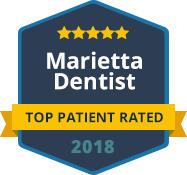 If there is not an oral health issue causing your halitosis, Dr. Kurtzman will refer you to your physician if the problem seems to be internal. Contact us today to schedule your checkup and cleaning and put an end to bad breath.